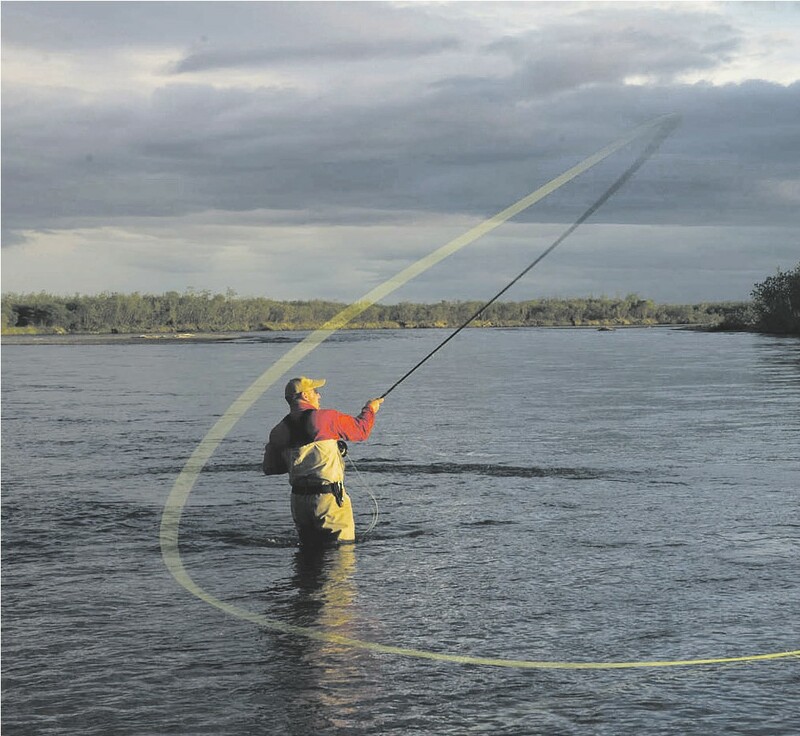 Whilst I’ve been familiar with spey casting for many years it wasn’t until just three years ago that I realised the full potential of it, the forthcoming groundswell towards it and the usefulness of it for Tasmania. During 2011 Marc Bale, Sage’s International Marketing and Sales Manager visited Tasmania and stayed at my Cressy lodge. Marc was in town to help build brand awareness and one night, during the dinner conversation, I asked Marc a few questions about fly rod sales. You might be interested in this, as am I, and you might be surprised at some of the answers. My first question was ‘Marc, which company supplies the most fly rods in the world’ ? His answer was Sage sell more than anyone else – they are head and shoulders above all other companies. Dragon fly larva, or Mudeyes, as we all know them, comes in two forms loosely known as the couta and bug (Corduliid) mudeyes. The couta is the larger of the two and many species, in fact close to 300 species, are found all over Australia. They are found in mountain streams, inland lakes, marshes and wetlands, in general. What species dominate your local waters? I guess it is up to you to work out; during summer you will see them flying around. We all love the onset of summer, don’t we? Warm weather, cold beer and of course dry fly polaroiding for trout. But it’s not only the highland polaroiding that gets me excited at this time of year, because it is also closing in on hopper time on my favourite local streams. As you wander the edge of your secret stream hotspot take a look in the long dry grass as you go, if you are kicking out a few of the resident grasshoppers then its time for a change of fly boxes. 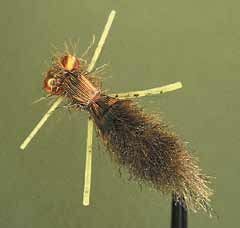 Tuck away that nymph/dry box and bring out the one loaded with big, fat foam flies. I guess you can also have some other hopper style patterns in there as well if you wish, not every fly has to have some foam in it, does it?. It’s warming at last! The weather is becoming more predictable and water temperatures have accordingly risen. Along with this comes the hatches and falls of insects which bring trout to the surface. The sinking lines can be put away for a while and the excitement of top of the water fishing can take its place. 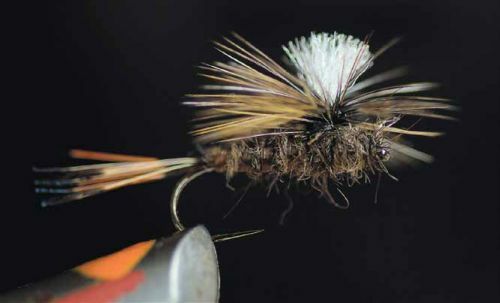 Not only does static dry fly come to the fore, but also top of the water loch style techniques particularly on rougher days. That time of year has finally arrived. The rivers start to settle after a winter full of cold weather and rains. The water of the highland lakes warms. Combine this with warmer weather patterns and you little beauty it all begins to happen. What am I talking about, well I reckon you have guessed it by now, the mayflies will be starting to hatch. The famous hatches from the slow, flat lowland rivers of Tasmania’s Northern Midlands area should be well under way and the mayfly waters of the central plateau should follow, if they haven’t already started. I have something to confess, I am a tackle junkie. 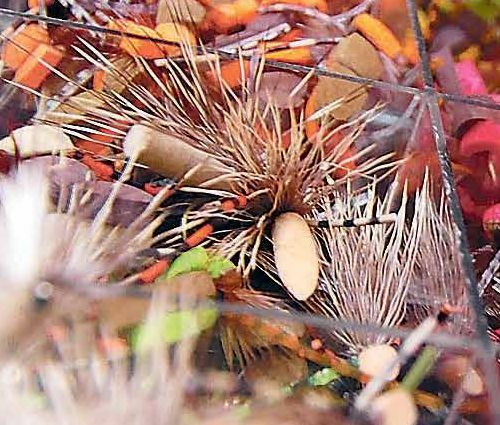 When it comes to fly fishing gear I try and collect whatever I can, whenever I can. Doesn’t make me very popular at times I must admit but I’m afraid that is just the way it is. My current passion is for collecting different styles of chest/vest packs but I do have a soft spot for a nice reel. A fly reel is probably more important to our kit than a pack lets be honest, you can always throw a box of flies in your pocket if needed and go fishing. But if there is no fly reel locked on to the end of your favourite rod its going to be a tough day on the water!. Over the years I have collected and gotten rid of a fair few fly reels. Some brilliant, some pretty ordinary to tell you the truth. If fly fishing is your passion then we need you to help keep the Australian Fly Fishing Museum open. The Australian Fly Fishing Museum is a unique single subject museum housed at the National Trust Estate at Clarendon just south of Evandale Tasmania about 30 minutes south of Launceston and is open from 10am to 4pm Thursday to Sunday. The museum houses a collection showing the history of Fly Fishing in Australia and has a well curated display of items which not only deal with the evolution and history, but also the art of fly fishing. Read more: If fly fishing is your passion then we need you to help keep the Australian Fly Fishing Museum open. The early trout season is always a special time. High water levels with brown trout foraging for a meal close to the edges giving anglers a keenly awaited opportunity for sight fishing, hunting a moving quarry in the shallows as it pushes a bow wave or sends the tip of its tail through the surface as it picks up a morsel off the bottom. 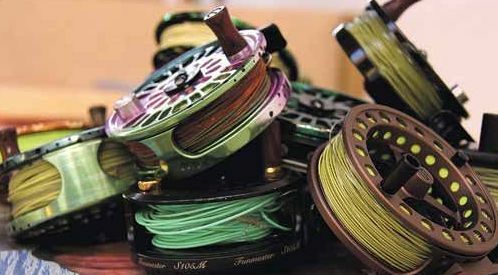 There have been many developments with fly tying materials in recent years, a fly fishing shop contains more glitter and colour than a mardi gras in the fly tying section, but sometimes basic old fashioned patterns which have stood the test of time are the requirement for successful fishing. Flies that are basic in concept and design, simple but representative of life in basic dull natural colours. Some time ago, in fact while I was away at the World Championships in Poland, the Editor, Mike Stevens received an email from a reader asking the following. 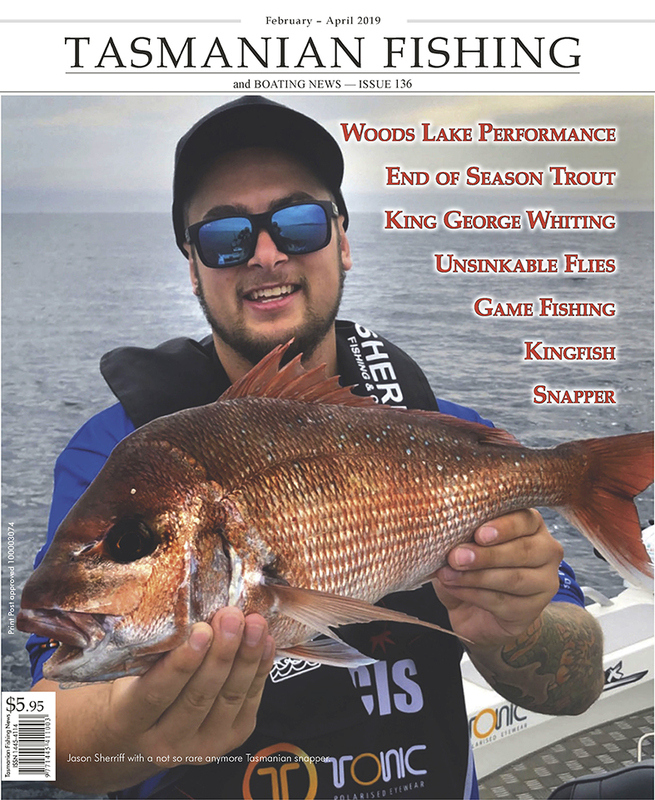 ‘I was only just thinking today that of all the magazine’s I’ve read, I’ve never read an article on how competition anglers differ from us recreational guys. If they have three hours on a given stretch of water or lake, how do they approach it? What skills do they have that we lack? My hunch is they’re much quicker at zeroing in on what the trout are doing, where they’re feeding, what they’re feeding on etc. I suspect I try a certain fly setup or location or depth for too long. 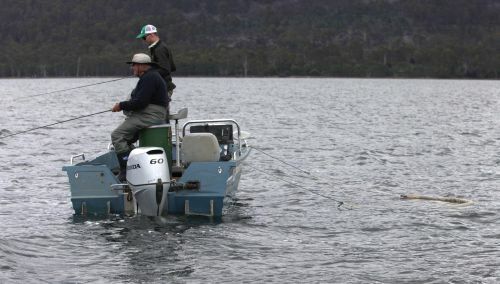 A few years back when surfing the net I happened to come across a fishing report from renowned Tasmanian fishing guide and casting instructor Peter Hayes that mentioned that his clients were using Chernobyl Ant style flies to take a lot of fish on the Great Lake. 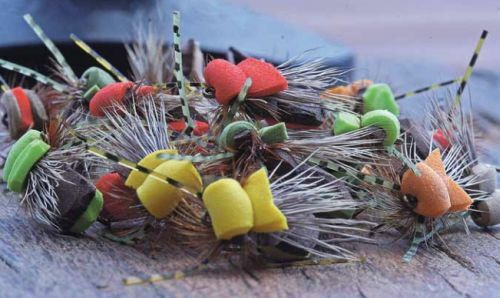 In fact I believe the words went along the lines of ‘a pair of long nosed pliers were required to be kept in the boat to remove the big foam flies from the trouts throats because they were taking them so hard!’ The report also contained a photo of the flies. From this photograph I was able to knock up a few copies on the vice. A mixture of sheet foam, rubber legs from an occy strap and super glue was used to fashion up a couple of ‘flies’ that looked vaguely like the versions pictured.